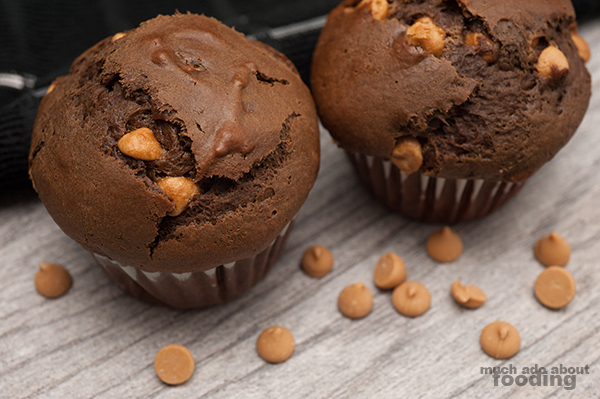 Chocolate and peanut butter - who was the genius who came up with that combination? You, sir/madam, are a fine person and one whom we all must thank. Duc has an utter love for peanut butter but he also gladly takes it with some chocolate so since I recently replenished my cocoa powder coffers, I wanted to honor that. 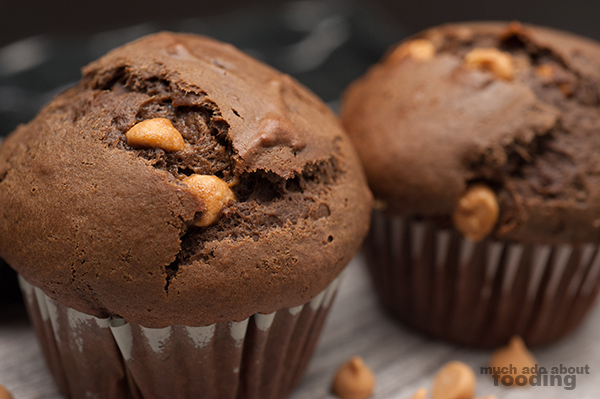 Chocolate peanut butter muffins sounded like a lovely way to start off a morning. 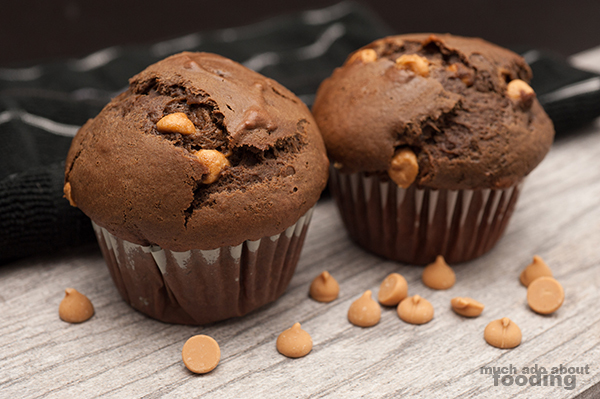 These bad boys have a chocolate muffin base and peanut butter chips inside. They are definitely more of the breakfast variety of muffins which make them excellent companions to coffee. You need these in your life for sure so check out the recipe by reading on! Preheat oven to 350°F. In one mixing bowl, mix together salt, baking powder, baking soda, cocoa powder, brown sugar, peanut butter chips, and flour. In another, mix together eggs, vanilla extract, and whole milk. Add wet mixture into dry mixture and stir together with vegetable oil. Grease a muffin pan or place liners in each spot. Spoon batter evenly into each liner. Bake for 20-25 minutes or until an inserted toothpick through the middle of one comes out clean.